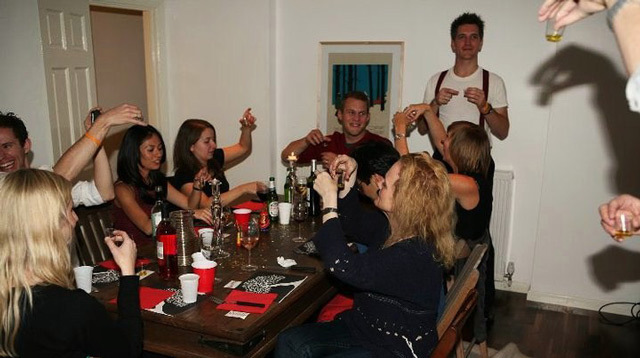 Nudo joined The Czars Banquet Russian fusion dinner party in London for their Italian Mafioso special evening. I hosted a little olive oil tasting, teaching the diverse group of international guests about judging a good olive oil by smell, colour and taste. Founders Helen Osborne and Olga Tarabashkina also used some Nudo products in their food presentation and gave away some Nudo goodies for guests to take home at the end of the evening. All in all it was a delightful event turning my favourite Russian underground restaurant into a festive Italian affair with the globe-trotting group of foodies joining in with the fun spirit of the evening. Guests testing the colour of their olive oil samples against the light. Leon Lahovich checking the colour difference between black olive oil and green olive oil. 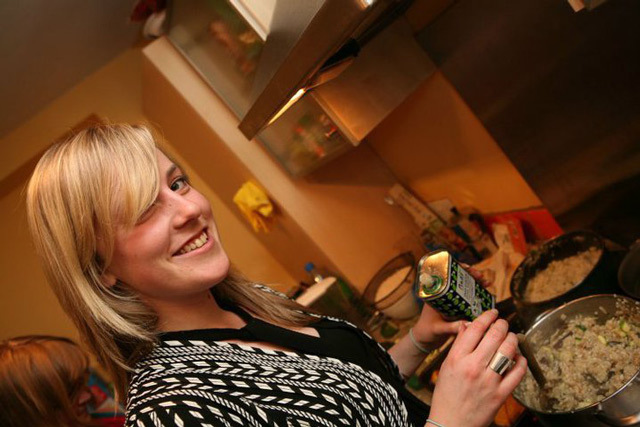 Host and cook Helen Osborne cooks up a storm with Nudo First Cold Press extra virgin olive oil. 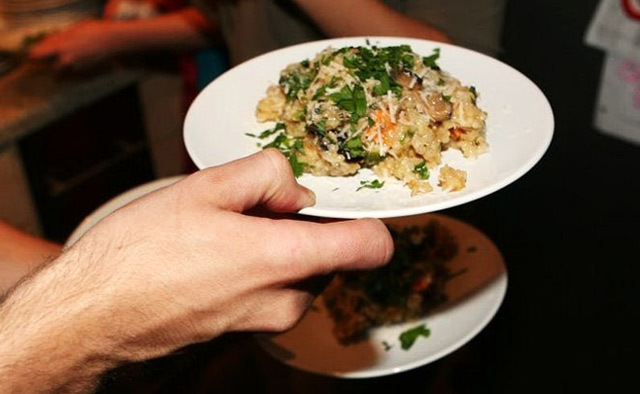 Primi course - a heart Porcini mushroom and butternut risotto is served with fresh flat-leaf parsley. 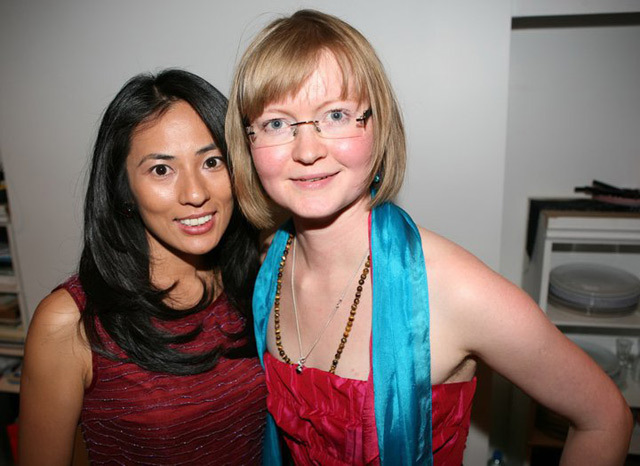 Van Huynh, an Australian guest, and host Olga Tarabashkina.